At Elmwood Park Zoo Spring Break & Summer Camps, children 6 years old to 11 years old explore the habits and daily lives of the zoo's wild residents. Each week-long camp includes a lot of learning and fun, with crafts, stories, snacks, animal visitors and in-depth tours of the zoo. 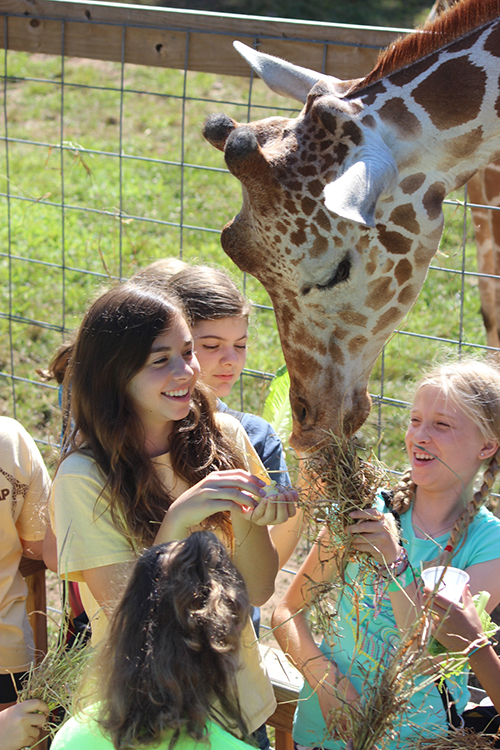 Campers will also get to hand feed the giraffes, share a snack with the bison, take a stroll through the trees on the zoo's zip line course, and much much more! The zoo’s experienced educators operate the camps. They designed each session so that children create a connection to nature that will hopefully develop into a lifelong love of wildlife and interest in conservation. Activities: Animals, Biology, Science, Veterinary Science, Environmental, Ropes Course, Service Projects / Community Service, Arts and Crafts, Zipline.